Title : Khushboo Gulzar becomes an international blogger! 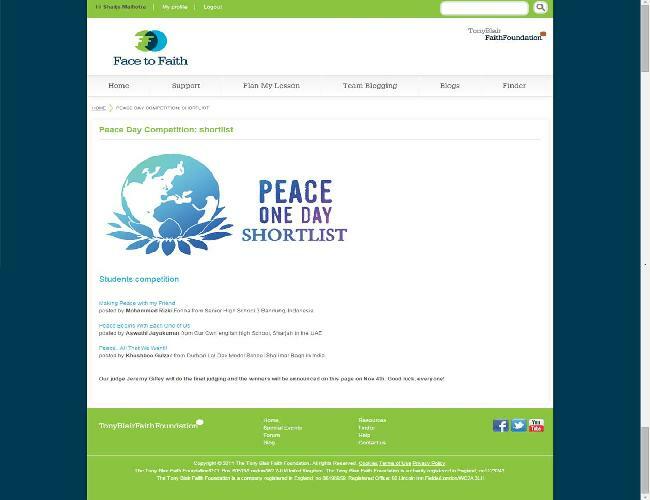 In a blog writing competition organized by Tony Blair Faith Foundation, the blog titled ?Whom did I make peace with? written by Khushboo Gulzar, IX A was selected amongst the top three at international level.